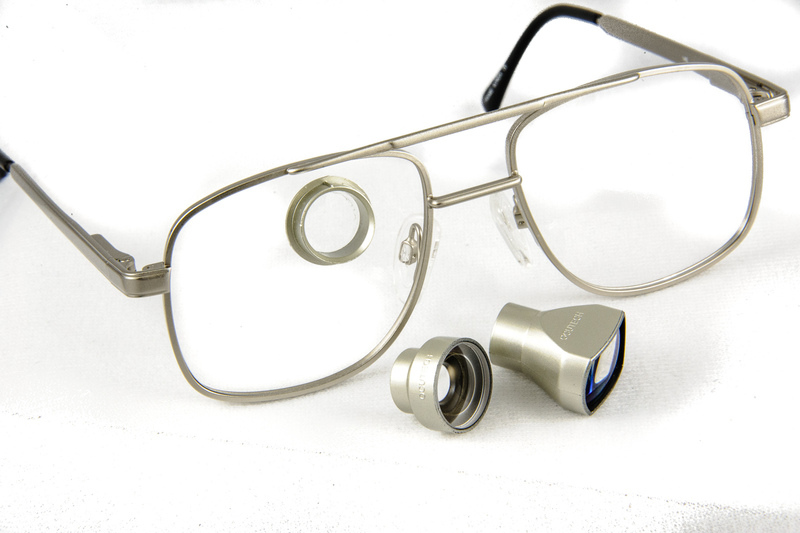 The Ocutech InstaMount Series offers a quick, convenient method to attach a monocular optical device to the front of an eyeglass lens. It is available as a 2.2x Telescope (TS) or a 0.5x Field Expander (FE) for visual field constrictions. These are available in a range of prescribing options- permanently mounted using self-adhesive flanges, clip-on versions, and frames with magnetic clip-ons allowing them to be used or removed easily and conveniently (The On & Off Bioptic). Each InstaMount System comes complete with two self-adhesive flanges– straight and 7° tilt. A reusable Clip-on demonstrator adaptor is available that will hold either the TS or FE for demonstration, evaluation and positioning purposes. 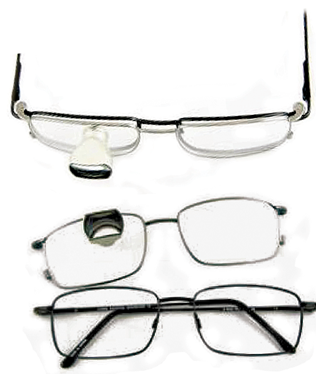 The InstaMount can also be used with magnetic clip-on frames (The On & Off Bioptic) using clear plano lenses in the clip. Prescribers can provide their own frames and use the self-adhesive flanges, or they can select magnetic clip frames provided by Ocutech and request the InstaMount to be drilled into the carrier lens at the appropriate position and angle. 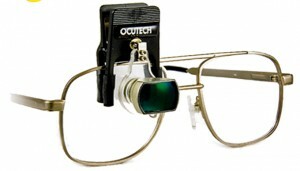 Contact Ocutech for magnetic clip frame options.